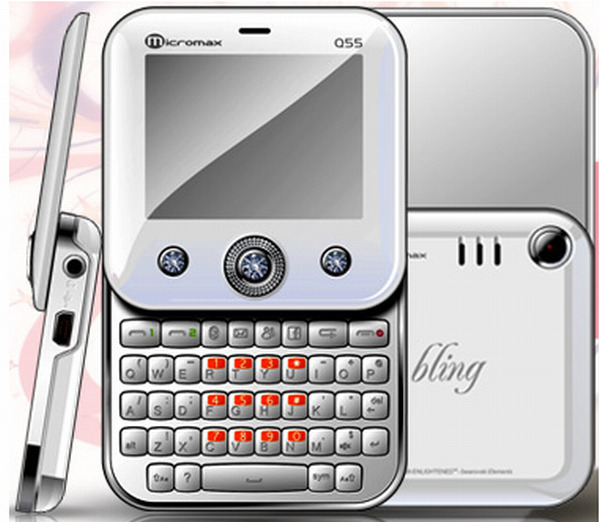 Micromax Q55 is a beautiful, diamond studded phone to suit a woman’s possessions. The phone really looks cool in all white. But as they say looks can be deceiving sometimes. And this phone is probably one of them (as we see it). 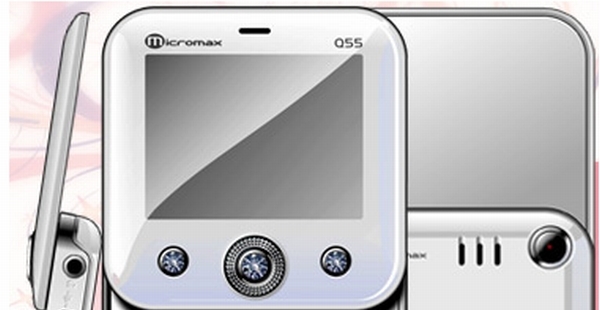 Micromax Q55 has a square layout just like Nokia Twist and Motorola flipout. However twist and flipout are not aimed for ladies. The phone does not have so many features and all that it has to offer is looks. 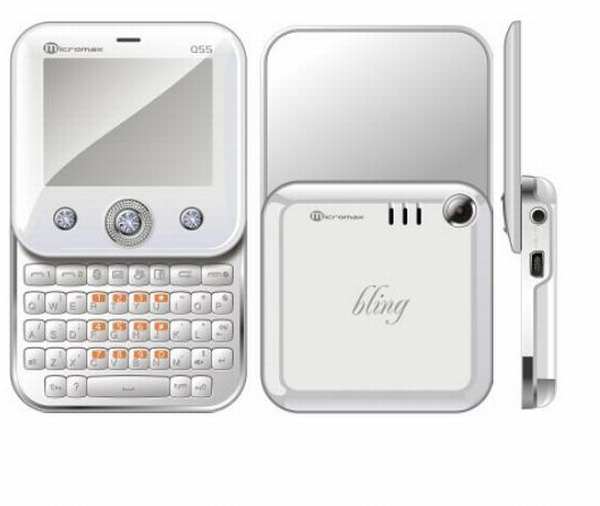 It is a Dual SIM phone with a 2.4 inch display, 2 megapixel camera and FM radio. The memory can be expanded via microSD up to 8 GB. The phone runs on an 850 mAh battery which provides a talk time of 4 hours and a standby of 168 hours. The talk time is not that great and that is something a girl would need more. The phonebook and the text memory are 1000 each and hence there would not be any storage problems with the contacts and SMS. The phone’s memory can further be expanded up to 8 GB using microSD or microSDHC cards. 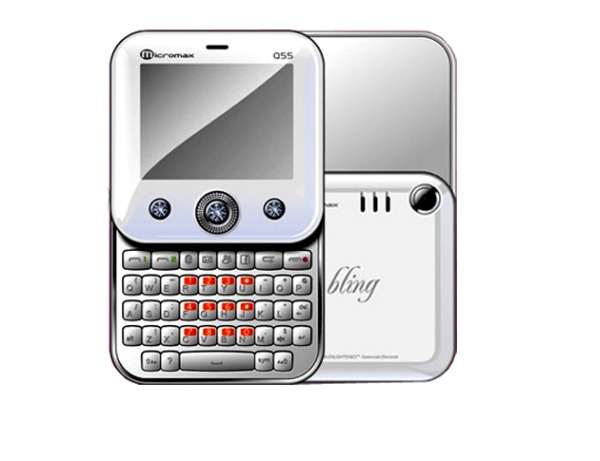 The QWERTY keypad has a better construction than the other micromax phones, and is very easy to use. The phone comes with very limited features and you will probably find better phones at a lesser price. But the game here goes for the looks. It has a swivel out full QWERTY keypad. It has a 2.0 megapixel camera too. The phone offers to use two SIM at the same time, but only GSM. It also has a FM radio and memory card slot. It comes with audio and video player which is powered by Yamaha amplifier. For your social networking needs it has Opera Mini and multi Instant messenger. The phone has a little internal memory to save messages and contacts (10 MB). Lastly the phone runs on an 850 mAh Li-Ion battery. The phone has a square design with a swivel out QWERTY keypad. There is also a mirror behind the screen. When you open out the keypad the phone looks big with similar size to Nokia E71. 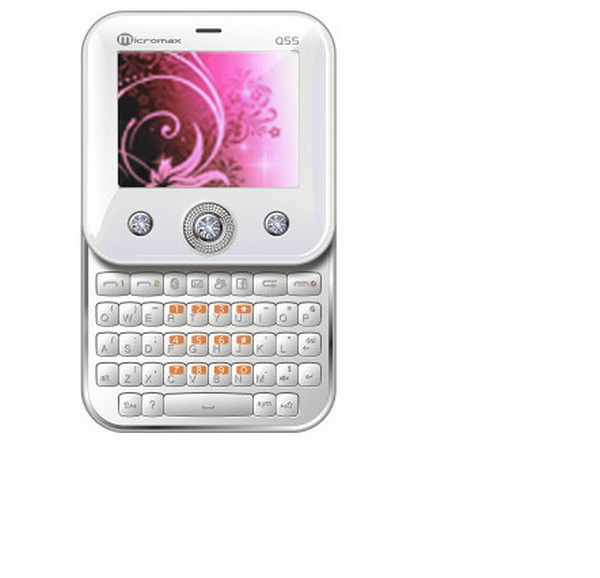 The keypad is better than the QWERTY keypad on other Mixromax phones and the feminine design makes it strictly a women’s phone. It also has Swarovski crystals studded to give it its bling look. The phone looks big but it weighs only 75 grams, another good feature for women. When the keypad is collapsed, it has the dimensions of 70x70x16.3, that’s pretty handy. 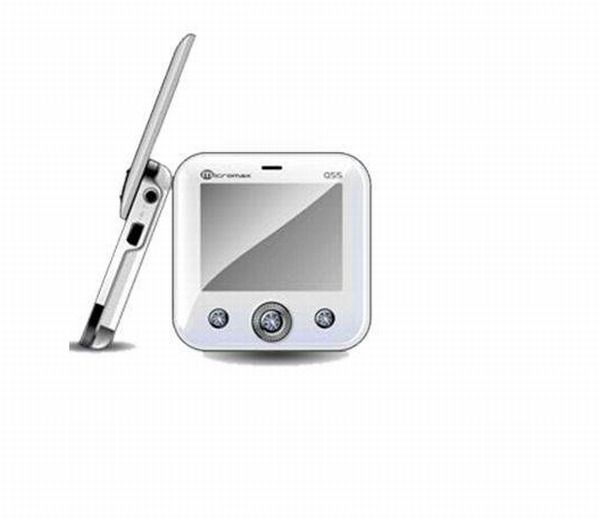 The 2 megapixel camera on the back panel can be used to click photos or shoot videos. The phone is designed with keeping women in mind. Although they forgot to consider some important aspects, like good talk time, it has a beautiful design. It has Swarovski Diamond studded keys to add the wow look. The audio playback is great through the built in Yamaha Amplifier. So finally, we can say the phone has an outstanding built quality and design with and affordable price. But they certainly could have made it better. reverse cell phone lookup free? Is buying Blackberry Bold a right choice? Is there any android in Nokia neuron? 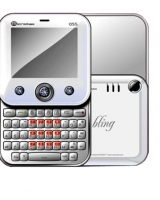 which is the best gsm phone?